So does this mean you should eat a bushel of them a day? Probably not the best idea – they still do contain approximately 250 calories in a whole medium avocado and 22.5 grams of fat, but adding avocados to your diet is a great way to get the nutrients they offer as well as being a wonderful healthier substitute in some recipes. So how can you use avocados? Read below for how to enjoy this wonderful food! How Do I Open This Thing? The easiest way is to use a serrated knife and cut all the way around the avocado length-wise, it will split open into two halves like the photo above, one will contain the very large seed. Then carefully cut around the seed to remove it. Incidentally, you can use this seed to grow your own avocado tree, a fun project for kids to do. Once you have the seed removed, you can scoop out the greenish-yellow avocado goodness with a spoon and discard the tough outer shell. Fresh-cut avocado will turn brown fairly fast – so it’s best to open it right before you eat it or need it for a recipe. You can spritz the avocado with a bit of lemon juice to slow the browning, but consuming it right away is still best. What’s The Best Way To Eat An Avocado? 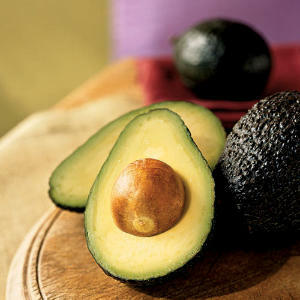 Of course there is no best way, but easy ways are to cut the avocado into chunks and eat plain, with a tiny sprinkle of sea salt, or with a spoonful of salsa on top and/or a cracker on the bottom – this is an easy lunch to make, just take the whole avocado and a knife with you and cut open at lunchtime. You can add avocado slices on top of your favorite leafy green salad, or add avocado chunks to other chunky veggies like tomato, green pepper, onion and cucumber and make a delicious veggie salad with your favorite dressing on top. 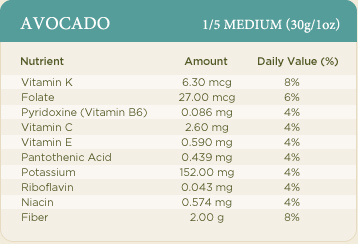 Adding the avocado to salads give more of a hearty taste (you will feel more full) and can make a great meal. Blend all ingredients until creamy and enjoy! 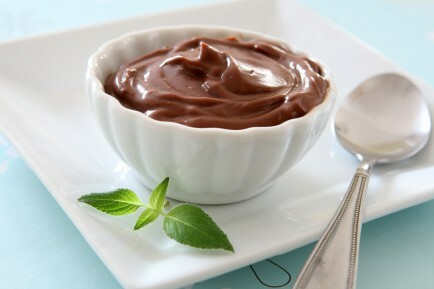 Can also be used as a chocolate cream pie filling. There are so many great avocado recipes and uses out there – we are only hitting the very tip of the iceberg of ideas. 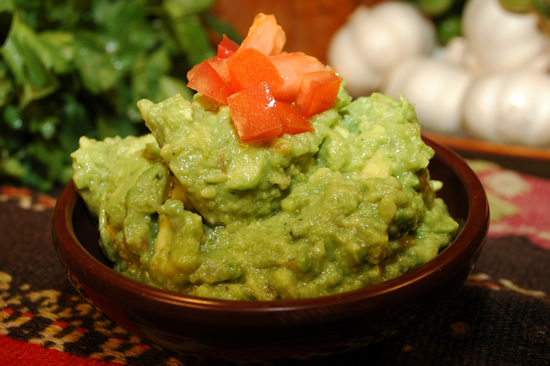 You will be surprised to know it’s not just for guacamole anymore, but speaking of guacamole….here is one of our favorite recipes at E3Live for a quick and simple guacamole you can serve at your next event or just have for lunch or dinner at home. Scoop avocado into a bowl and mash with a fork, add chopped tomato, chopped onion and the juice of 1/2 a lemon, and a tsp of E3Live or E3AFA. Serve with crackers, chips or on a bed of lettuce. So tell us your favorite ways to use avocados in the comments below! ← E3Live Demos – Why You Should Go!